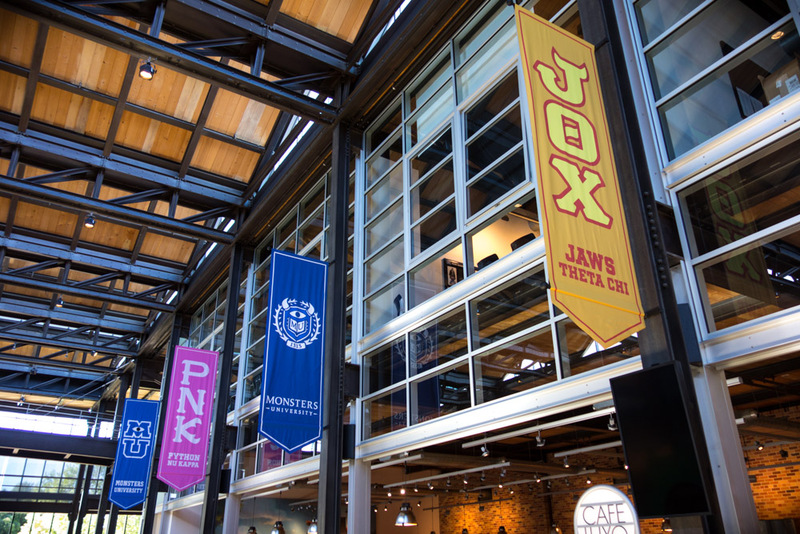 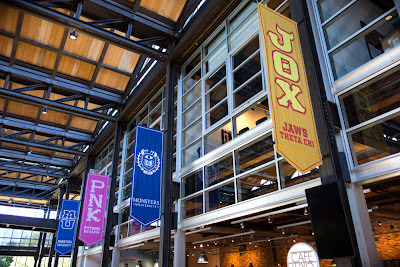 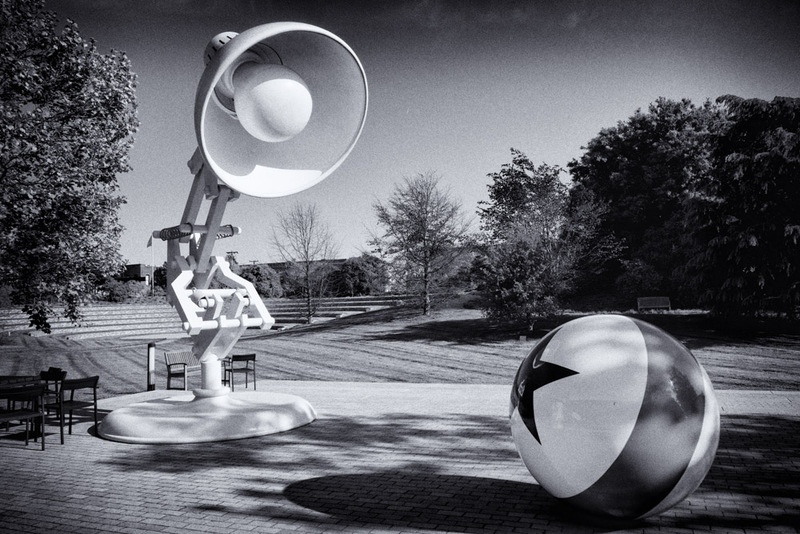 This week I had the pleasure of visiting Pixar Animation Studios', Emeryville Campus to preview Monsters University and Pixar's newest feature short, The Blue Umbrella. 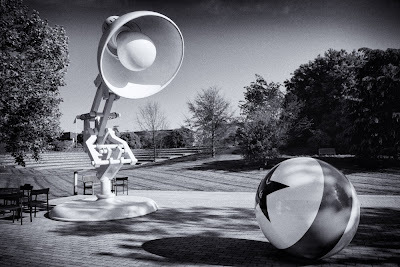 While I cannot share all my stories just quite yet, I did want to share just a few photos I took from the event and show how the marketing team at Pixar really exceeded all expectations with their monstrous details. 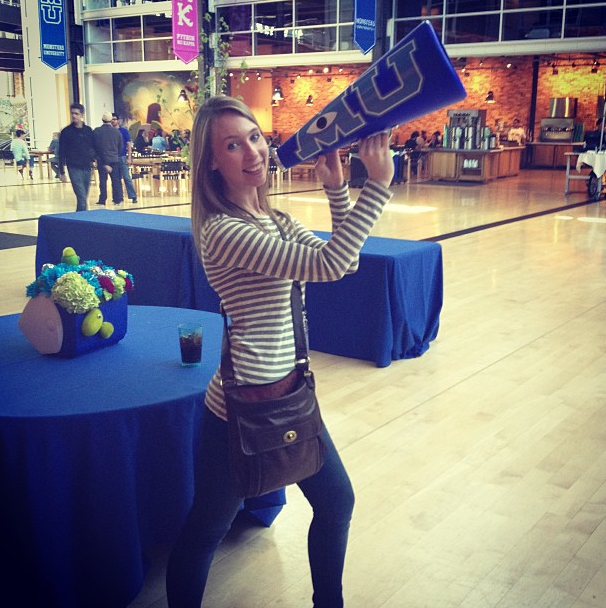 I'm going to join the official Monsters University cheer team! 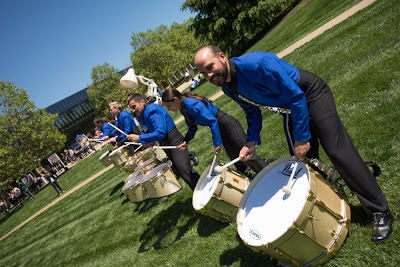 The Monsters University drum-line really pumped us up for the days ahead. 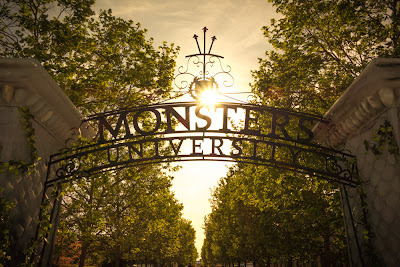 I have so many wonderful stories, videos, photos and audio from the event and I'm so excited to share it will all of you - which I will as soon as we can. Be sure to stay tuned! 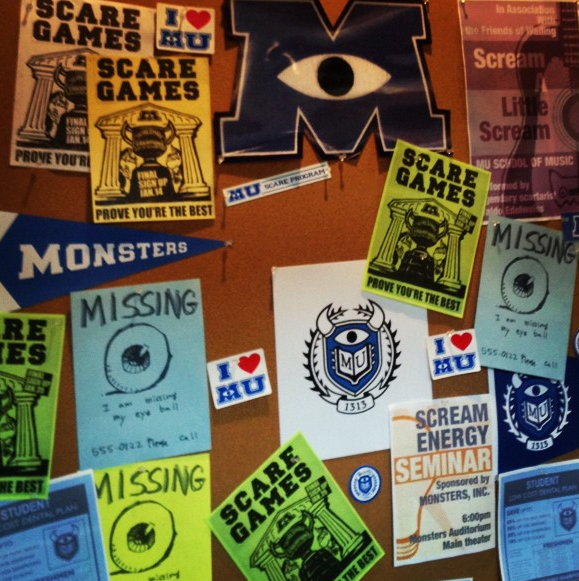 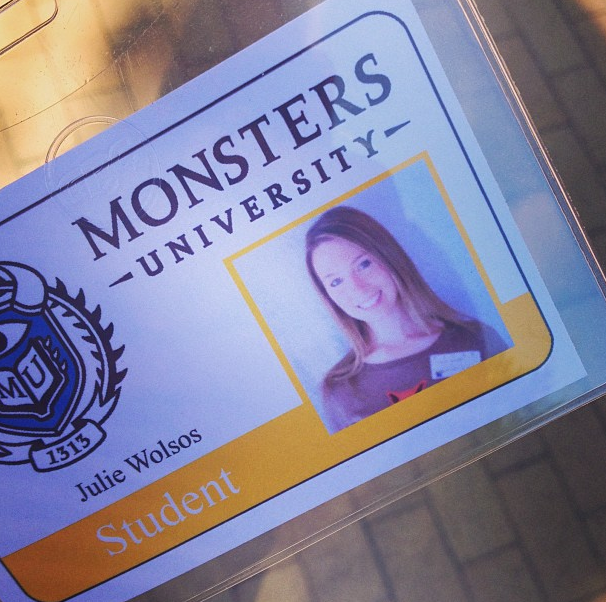 See our other Monsters University posts for all other MU news.